A little cold has hit the Silbaugh house. My husband likes to share his germs with me. Because he works downtown in an office, he is always bringing home some new strain of something that attaches itself to me like a lover. The joke in my house is that everyone needs to "Scrub in" before coming near me. I catch everything. So I am not feeling so great today. But as always life goes on. My daughter needs to eat before she heads out to work this evening. So today I am keeping it simple. 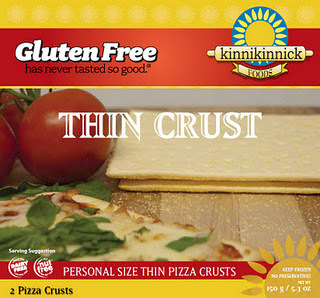 Have you seen Kinnikinnick's New gluten free thin person pizza crusts? Heat a frying pan over a high heat and add one tablespoon olive oil and one tablespoon butter. Add the garlic and fry for 30 seconds, then throw in the sliced mushrooms. 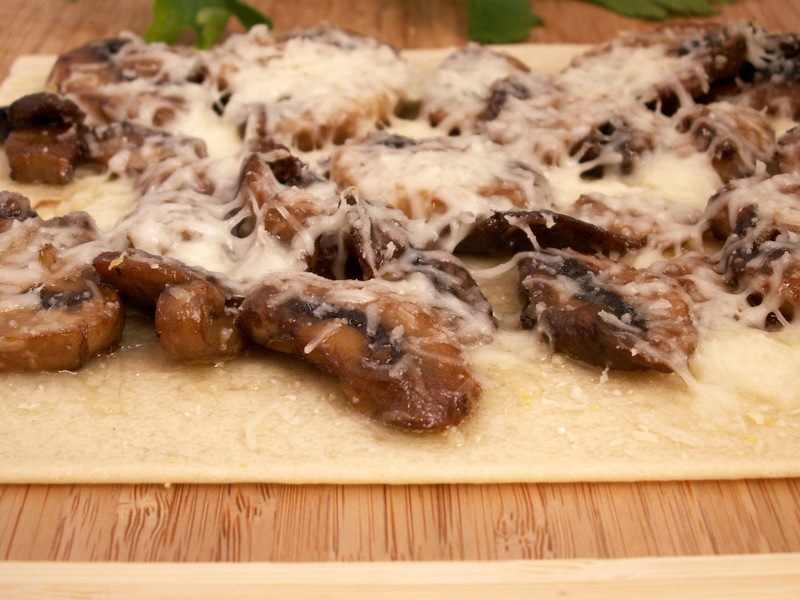 Fry the mushrooms until they are soft. Place pizza crusts on a baking stone. Put empty crust in oven for 4 minutes. Take out of oven and top with mozzarella, and place a generous amount of garlic mushrooms on each crust and season with sea salt and ground black pepper.